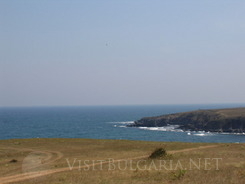 General Info: Sinemorets is a little piece of paradise, situated at the very south-eastern part of the Bulgariam Black Sea coast. Once you enter the village you will be enchanted by the unique natural beauties concentrated in such a small piece of land. Sinemorets offers two magnificent beaches with crystal clear water and endless tree forests along Veleka River, which forms supernatural estuary. 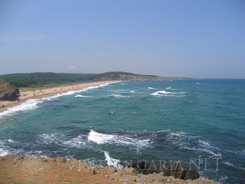 Location: The resort is located 5 km south of Ahtopol, very close to the Turkish border. The village is sitauted on a peninsula, south of the mouth of Veleka River. It is the biggest Strandja river. Its crystal waters are teeming with fish. It forms beautiful meanders among karst rocks and waterfalls. The flora and the fauna in the river is rich in rare species. Beach Stipes: Sinemorets has five beaches. A really beautiful and clear beach is the northern one, called "The Mouth". The beach is sandy and the sea is crystal blue and often has big waves. 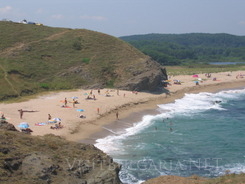 Going south you will see beautiful rocks and virgin beaches The "Linden Trees" beach is surrounded by a thick forest, "The Leaves" beach is just 40 minutes away by foot and "Silistar" beach is the last Bulgarian beach befotre the Turkish border. What to Do: Tourists attractions are excursions by boat along the Veleka River, sea and river fishing, photo safari, biking, tracking in Strandja Forest and mushroom and herbs picking. Special outings are organized for amateur orinthologists - an observation of forest and river birds.